I feel so enlightened after reading Kara Lydon’s Nourish Your Namaste new e-book that I had to share it for Wellness Wednesday! I was generously gifted a copy of this e-book for review. All opinions are my own. 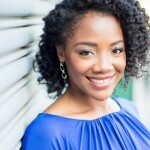 I was so excited for Kara’s new e-book, Nourish Your Namaste. It was released in May and I’m still loving it. The book is absolutely beautiful and packed with useful information. 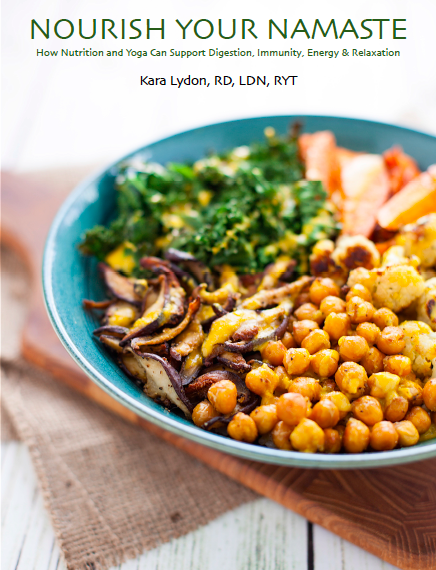 Kara brilliantly brings nutrition together with the power of yoga for wellness. I met Kara several years ago and just love how her business has blossomed. Her blog is beautiful – full of delicious recipes and gorgeous food photography. But what makes her truly unique is how she’s integrated a love for yoga into her practice. I agree! Nourish Your Namaste is a unique e-book with lots to offer! Both beginner and avid yogis will benefit from this e-book. Kara’s hand-picked yoga poses help improve digestion, immunity and support relaxation. 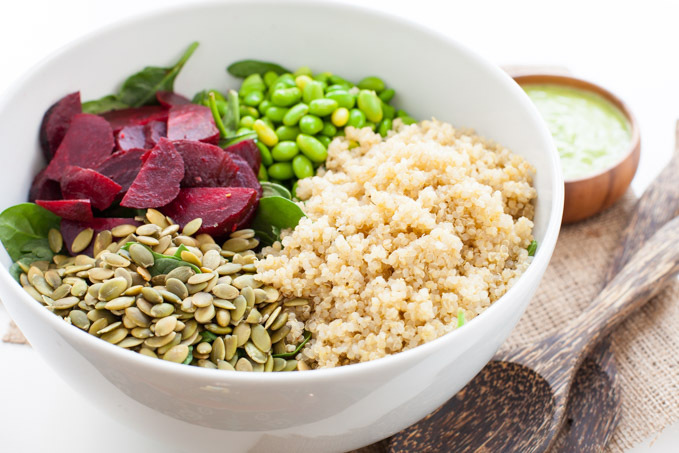 You’ll get vegetarian recipes and snack ideas to enjoy before or after yoga practice. If, like me, you’ve ever wondered how to get through a yoga session feeling energized and without any digestive worries, Kara lays it all out. She shares what and when to eat before and after yoga. Yes! As you may have noticed, I’m a big advocate for integrative and functional nutrition. I love that she details 40 functional foods to help with digestion, immune function and energy. 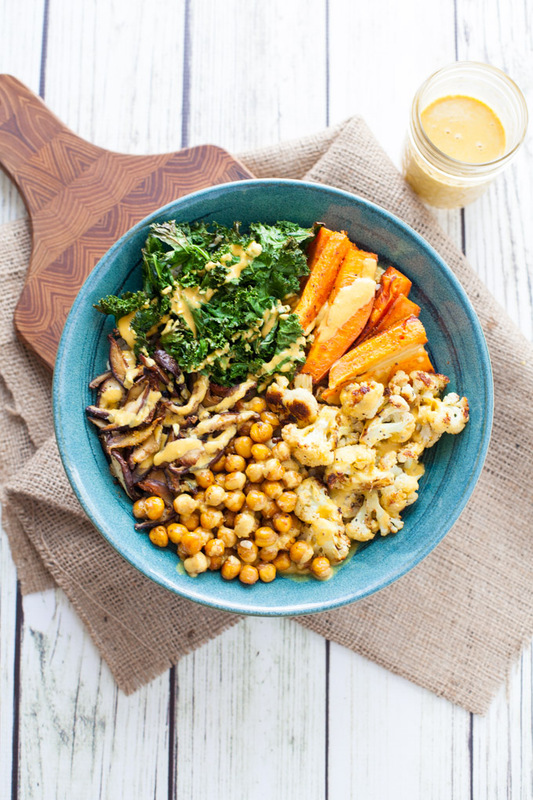 This Immunity-Boosting Buddha Bowl with Turmeric Tahini Dressing is just one of the many plant-based functional recipes you’ll find in the book. Isn’t it gorgeous? She also includes an entire chapter on nutrition for relaxation. People ask me all the time what they should eat to reduce stress levels. 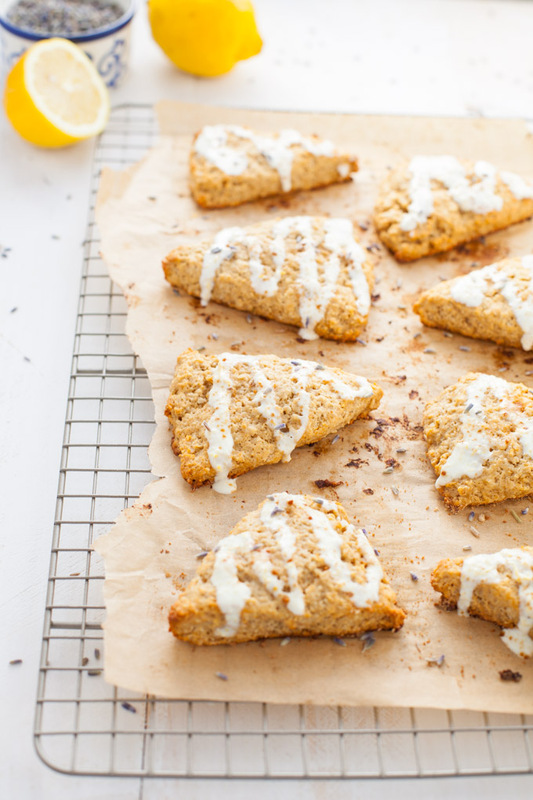 Kara shares 10 foods for relaxation including why they help and a recipe for these beautiful Lemon Lavender Oat Scones. Just seeing the book puts me in a zen like space. I can’t say enough about this e-book. You should just check it out for yourself. If you practice yoga, are thinking about doing it or simply want to enhance your well being with delicious food, grab your copy of Nourish Your Namaste right now! All photos are the beautiful work of Kara Lydon.